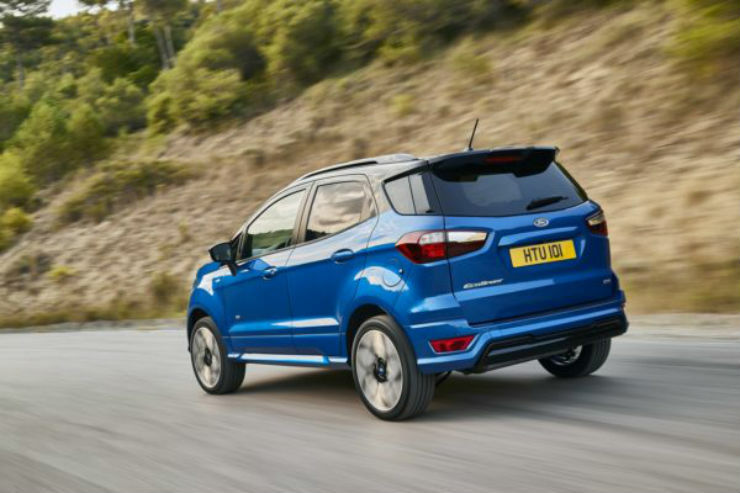 The Ecosport is Ford’s most successful compact SUV. The SUV did wonders for the company, in India as well as abroad. The company has now released a new hot version of the Ecosport, called the ST.
First things first, the main change in under the hood. The Ecosport will get a brand new 1.5 liter EcoBlue diesel engine making 123 Bhp and 300 Nm. It will be mated to a 6-speed manual gearbox. The vehicle will also be offered with the 1.0 liter turbo petrol Ecoboost engine. The 1.0 can be had with 137 Bhp, 123 Bhp and 99 Bhp states of tune. 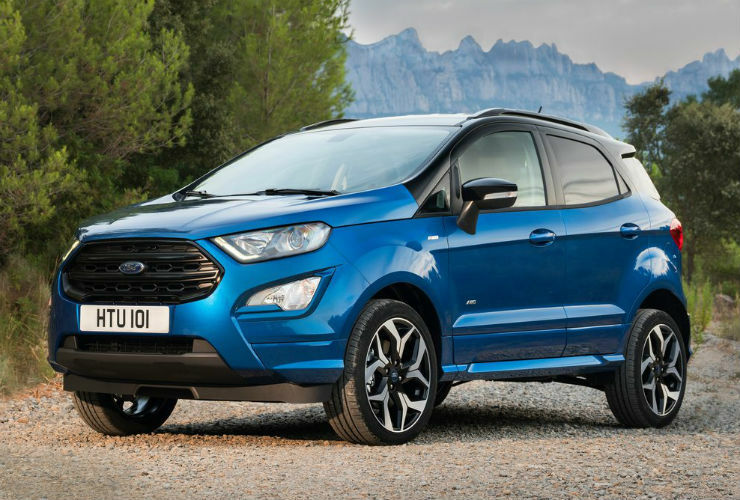 In addition to this, the company will be offering the Ford’s AWD system on this Ecosport. It will be the first time that the Ecosport will come with an AWD option. The car looks a lot sportier and cooler than the normal variant. It has black accents, that replace the chrome ones and it now has the option of 12 colours. You can also get the vehicle with a contrast roof. Other features also include a new 8″ touchscreen system, heated steering wheel, adjustable boot floor, cruise control with adjustable speed limiter, rear view camera and SYNC 3 connectivity. Ford will be launching the all-new Ecosport in the Indian market next month. The company has updated the looks as well as the interiors of the car. For the first time, the company has decided to remove the buttons from the dashboard and replace it with a touch screen system, which looks neat and clean. The car will most likely also get Apple Car play and Android Auto. There have been rumors that the company will introduce a new Dragon range of petrol engines on the Ecosport. The car will also be offered with the 1.0 liter Ecoboost and the 1.5 liter diesel engine that is currently offered on the vehicle. The vehicle has been spied many times and the launch shall take place next month.